Thirty years after he burst onto the scene as a gold medal light-heavyweight at the Rome Olympics, Muhammad Ali is still a magical figure. His accomplishments in the ring were the stuff of legend -- the two fights with Sonny Liston, when he proclaimed himself "The Greatest" and proved he was; the three epic wars against Joe Frazier; the stunning victory over George Foreman in Zaire; and the shocking loss and final win that made him the first man to win back the heavyweight crown twice, fourteen years after he had first claimed it. Ali's life has been played out as much on the front pages as on the sports pages. With brilliant immediacy and unprecedented candor, bestselling author Thomas Hauser recreates this extraordinary man. 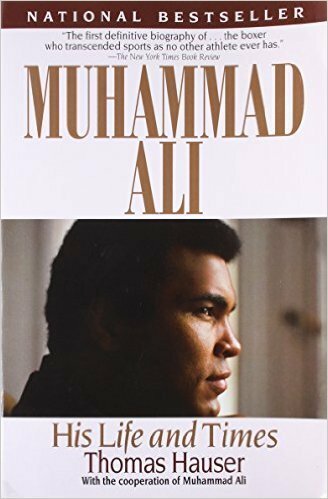 In the words of more than 200 of Ali's family members, opponents, friends, world leaders, and others who have known him best, the real Muhammad Ali emerges: deeply religious, mercurial, generous, a showman in and out of the ring.